Can Probiotics Boost Cognitive Function? Maybe you’re not familiar with the term probiotics. Very simply probiotics are good bacteria that help you recolonize your gut flora with the types of bacteria that promote good health. You can obtain them from supplements, food, or both. And there is plenty of good research that shows how probiotics aid in digestion as well as help in easing gas and bloating. Now current research out of UCLA and other scientific organizations are showing a clear link on how probiotics boost cognitive function. Scientists at UCLA designed a study to determine if probiotics boost cognitive function. They split their group of participants into two categories. One group consumed a placebo. The other group consumed a probiotic mixture. Both groups were subject to the same brain scans. Both groups watched a series of pictures designed to stimulate an emotional response. The brain scans of the placebo group showed activity in the emotional and sensory areas of the brain. The brain scans of the probiotic group showed activity in the emotional and sensory areas of the brain. But they also showed brain activity in the pre-frontal cortex that helps to facilitate higher thinking and executive function. Executive function is a term used to describe reasoning, thinking, judgment, and self-control. When this part of your brain (pre-frontal cortex) is engaged it helps you stay calm, be less anxious, and have improved clarity of thought. In another study, researchers looked at the effects of probiotics on the cognitive functioning of elderly men with advanced stages of memory loss. There were 60 participants and they were split into a placebo group and a group that got a probiotic combination that contained L. acidophilus and B. bifium. The group that consumed the probiotic combination showed significant improvements in memory testing. The use of antibiotics is wide spread. And as scientists explore the microbiome it has become apparent that antibiotics negatively effect your gut flora. As most of us know, antibiotics help to destroy bad bacteria and fight infection. But antibiotics also kill the good bacteria. This has consequences to your overall health. In studies on mice, antibiotics were used to remove good bacteria. This wiped out the good probiotics that help colonize their gut microbiome. Almost immediately the mice showed signs of memory loss. And their brain cell growth stopped. When these mice were given a diet that included probiotics their brain cells started to grow and their memory and recall also improved. These types of studies have shown a clear connection between gut health and cognitive function. Using probiotics to improve the good bacteria of the gut microbiome helps to improve memory and clear thinking. 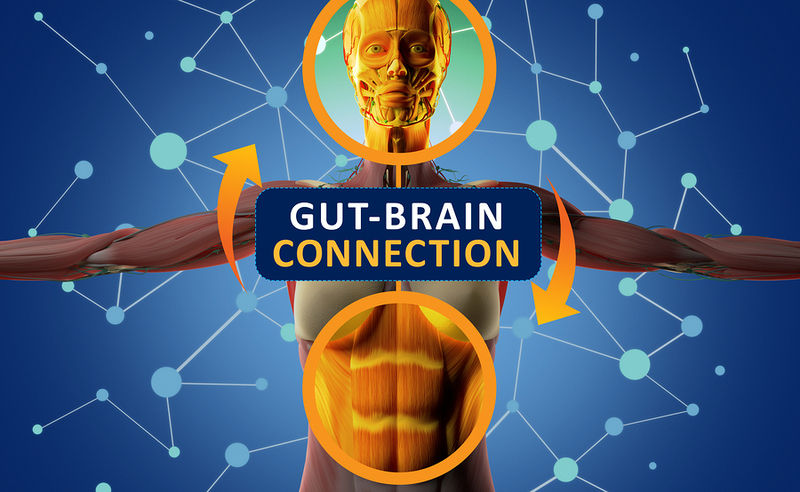 “Research shows that the gut and brain are connected, a partnership called the gut-brain axis. The two are linked through biochemical signaling between the nervous system in the digestive tract, called the enteric nervous system, and the central nervous system, which includes the brain. 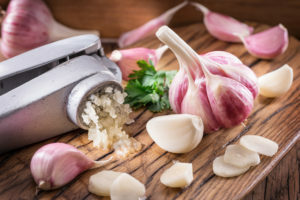 The primary information connection between the brain and gut is the vagus nerve, the longest nerve in the body. 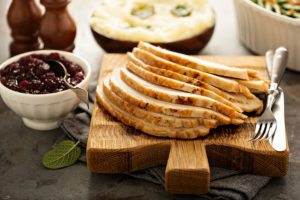 They go on to point out several research studies that showed how the use of probiotic foods improved cognitive function in both Alzheimer’s patients and in women. As you research this area you will find numerous studies that demonstrate how probiotics can not only improve cognitive function, but also help to balance hormones, boost your immune system, and reduce inflammation. This makes the consumption of probotic foods like yogurt and sauerkraut more attractive. Or using a good probiotic supplement to help reset your gut health while boosting your cognitive function. Today I’d like to focus on the health benefits of magnesium. Over the last couple of weeks I’ve been writing a series of video scripts on how to address a Leaky Gut. Once I produce this video series I’ll be sure to share it with you. There are 5 key steps to healing a Leaky Gut and step five centers on the health benefits of magnesium. Most of the literature about magnesium ignores this benefit. So let’s start our discussion on the health benefits of magnesium by addressing how it can improve your gut health. Magnesium For Improved Gut Health! Magnesium is a crucial mineral required for the function of hundreds of enzymes in the gut to improve immunity, digestion, regularity, and energy production. One of the keys to improving your gut health and reducing the potential for a Leaky Gut is to reduce inflammation. Magnesium helps in a big way. As your body uses magnesium to help you properly digest your food, this reduces the potential for toxins. 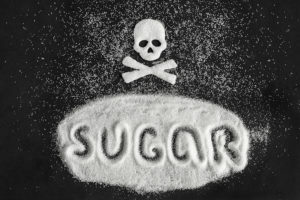 Toxins create inflammation, which damages the lining of your small intestine. Less toxins produced, less damage to the lining of your small intestine to decrease your probability of having a Leaky Gut. Bone Density – Half of your total body magnesium is stored in the bones. It’s needed for bone remodeling. This is a process that your body uses to break down old bone structure to reform new bone structure. And your blood levels of magnesium are critical to your bone density. If deficient, then your body will take magnesium from your bones, which can decrease your bone mass to contribute to osteoporosis. This also triggers pro-inflammatory cytokines to increase inflammation. Cardiovascular Health – Magnesium has several roles in heart health. One is helping to maintain good heart rhythm. If your magnesium levels are low, then your become more susceptible to irregular heartbeats or what the medical community calls arrhythmias. Magnesium also improves the function of your endothelium, which lines all of your cardiovascular system. This improvement helps to dilate the blood vessels for improved blood flow. And can aid in keeping your blood pressure under control. Metabolic Syndrome – This is a group of health risks like abdominal obesity, high blood sugar, high blood pressure, and cholesterol concerns. When taken together, these health risks increase your potential for developing cardiovascular diseases like heart attacks and strokes. Research studies have shown that magnesium can reduce the incidence of metabolic syndrome. Specifically, higher magnesium intake was associated with lower stroke risk. One study showed that for men who had the highest magnesium intake, they reduced their risk for stoke by 41%. This also applied to having lower rates of heart failure. While you can try to get your magnesium from the food you eat, the best way is to use a good nutritional supplement. Make sure the magnesium supplement you choose is in either the citrate or chelate form. Magnesium Chelate is highly absorb-able by your body. It’s the form naturally found in foods. Because it’s bound to several types of amino acids, this aids in restoring your magnesium levels. Magnesium Citrate combines the magnesium with citric acid. For some this might have a laxative effect. As you can see not a lot of difference based on age so make sure you’re taking at least 400 milligrams per day for men and at least 300 milligrams per day for women. 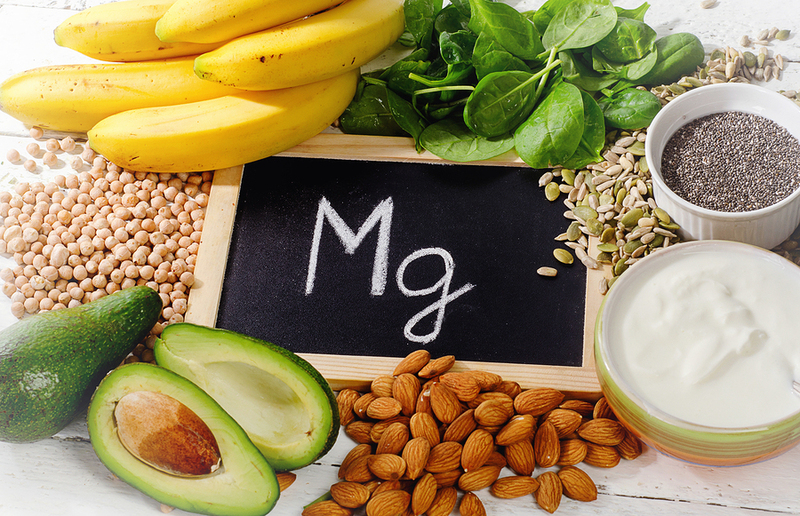 You can decide which method is best to help you enjoy the health benefits of magnesium: food or supplements. Do You Know Your Oxidized LDL Number? When it comes to cardiovascular health there is an important number you need to know. It’s your oxidized LDL number. Well, it’s time you did. Because that’s the real issue when it come to cardiovascular disease! Most people understand that CoQ10 benefits heart health. Even the pharmaceutical industry understands this especially as it applies to the effects of statin drugs in interfering with your liver’s ability to naturally produce CoQ10. Most statins effectively interfere with your liver’s ability to create cholesterol. Unfortunately they also interfere with your liver’s ability to create CoQ10, which is a needed coenzyme for proper energy production. Why Merck, and other pharmaceutical companies, didn’t create a drug that combined a statin with CoQ10 is a mystery. 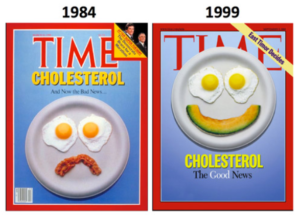 And, as statins were promoted by the pharmaceutical industry for the control of cholesterol, little was done to counter the side effects caused by these statin drugs. Fortunately physicians are finally acknowledging this need for CoQ10. It’s reported that approximately 70% of cardiologists will prescribe CoQ10 for their heart disease patients. 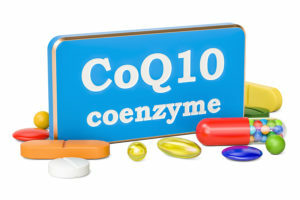 But the purpose of this post is to help you understand that CoQ10 benefits go beyond heart health. The number one killer of men and women is cardiovascular disease. 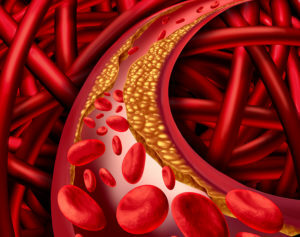 And the number one cause of most cardiovascular health issues is atherosclerosis. Atherosclerosis is a build up of plaque inside the blood vessel. Typically in the coronary and carotid arteries but also in the arteries of the leg. As this arterial plaque ages it can be involved in triggering a heart attack or stroke. Usually without any warnings or prior symptoms. If you read mainstream medical websites they will state that once you have arterial plaque accumulation or atherosclerosis, then you are stuck with it. That it can’t be reversed. I had to read their article “Inhibit Arterial Plaque” to see what they know that mainstream medicine either doesn’t know or doesn’t want to acknowledge. Click here for a direct link to their article. Today we want to talk about the health benefits of flax hull lignans. 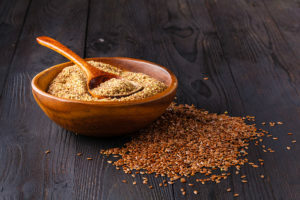 Historically, flax has been used for thousands of years. Initially for textiles. And, as people began to consume the seeds of flax, for its health properties. Approximately 25 years ago there was a major discovery regarding the shell or hull of the flax seed. 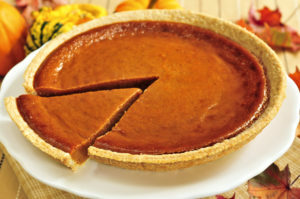 In the past the shells were thrown away because people assumed all the health benefits were in the seeds. However, it was discovered that the hulls actually contain very concentrated amounts of lignans. These flax hull lignans are powerful polyphenols that can provide significant health benefits.